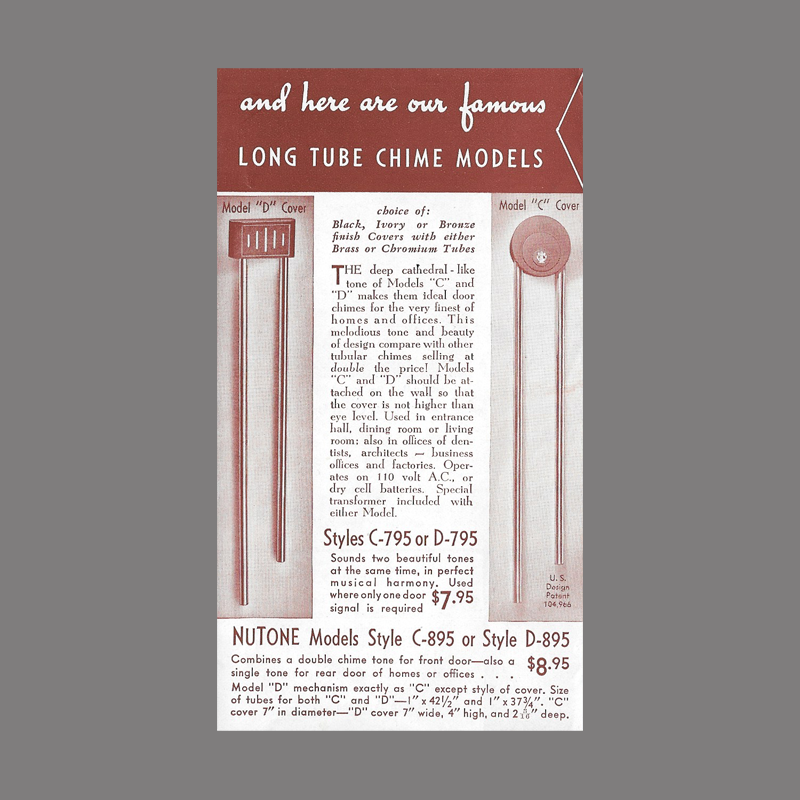 This door chime is among NuTone’s first long bell door chimes. The “C” series cover features stamped circles of decreasing diameter arranged along a center axis with a lyre ornament in the smallest. 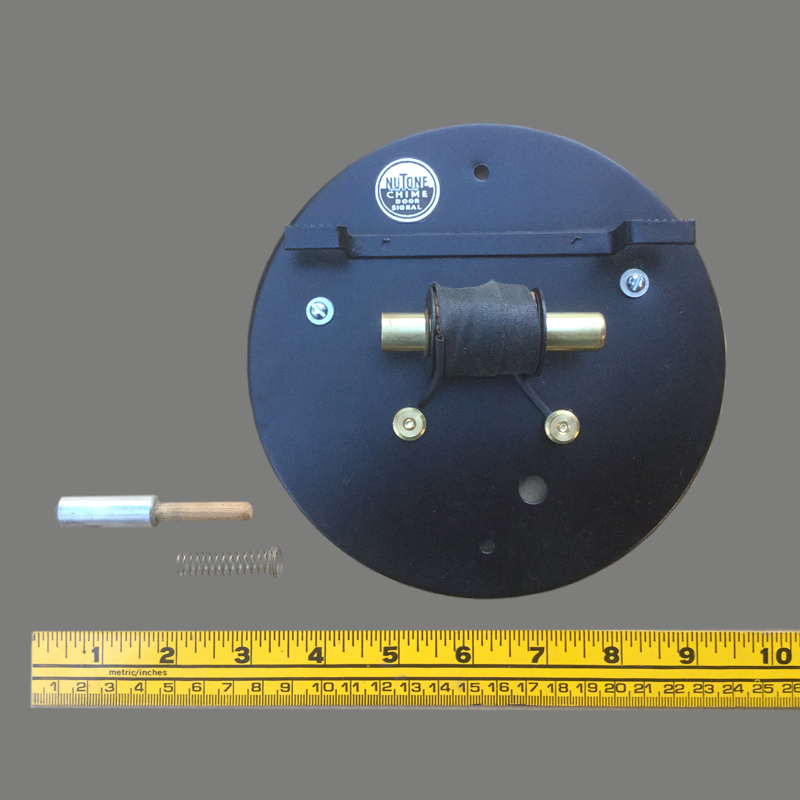 The mechanism back plate has an unusual circular shape. The “C” series was marketed along side the “D” series with rectangular cases. 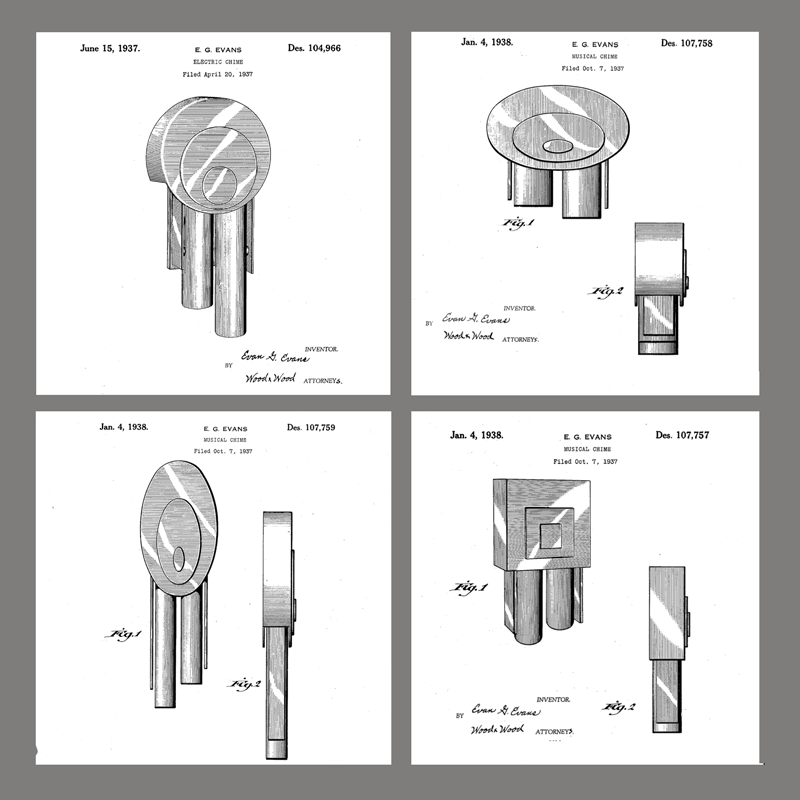 The “C” and “D” model chimes were designed by Evan G. Evans for NuTone with design patents issued for several iterations of the circular cover although I believe only one style of the circular cover was ever manufactured. The circular covers were also used on the “B” series resonator chimes. This example likely predates the 795 and 895 series as it rings only two notes (ding-dong) for a front door. There is no rear door facility for a single note like the C-895. 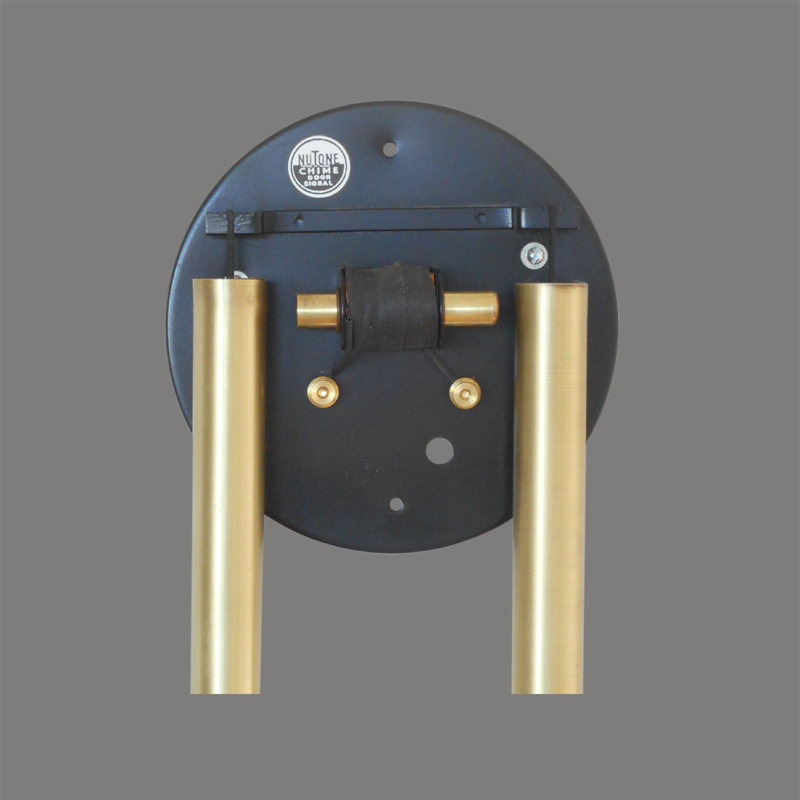 Choice of Black, Ivory or Bronze finish Covers with either Brass or Chroimium Tubes. 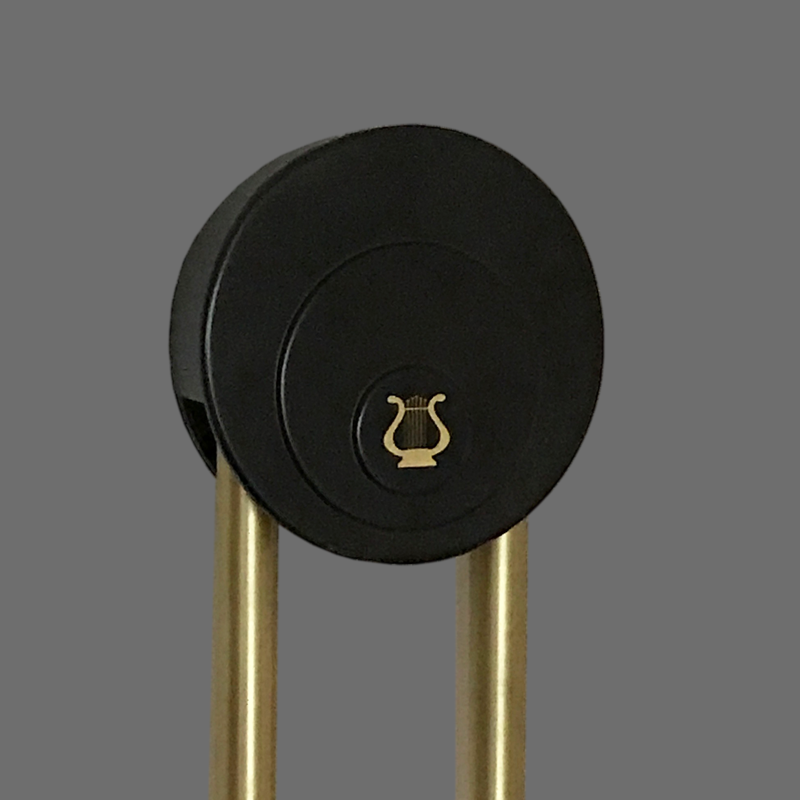 THE deep cathedral-like tone of Models “C” and “D” makes them ideal door chimes for the very finest of homes and offices. This melodious tone and beauty of design compare with other tubular chimes selling at double the price! Models “C” and “D” should be attached to the wall so that the cover is not higher than eye level. Used in Entrance hall, dining room or living room; also in offices of dentists architects — business offices and factories. Operates on 110 volt AC or dry cells batteries. Special transformer included with either model. Notes ElectraChime Collection. Restored. Newly fabricated ornament substituted for lost original.